So if that’s gathering your loved ones for an intimate brunch at home, great. Or if you’d rather, use this opportunity to give instead of receive, round up your friends for a day of volunteering. Or even a new-to-you activity—how does a wreath-making class or wine-tasting sound?—surrounded by your best gals. The options are endless. Jennae Saltzman, owner and senior lead planner of Twin Cities-based Blush & Whim, agrees. 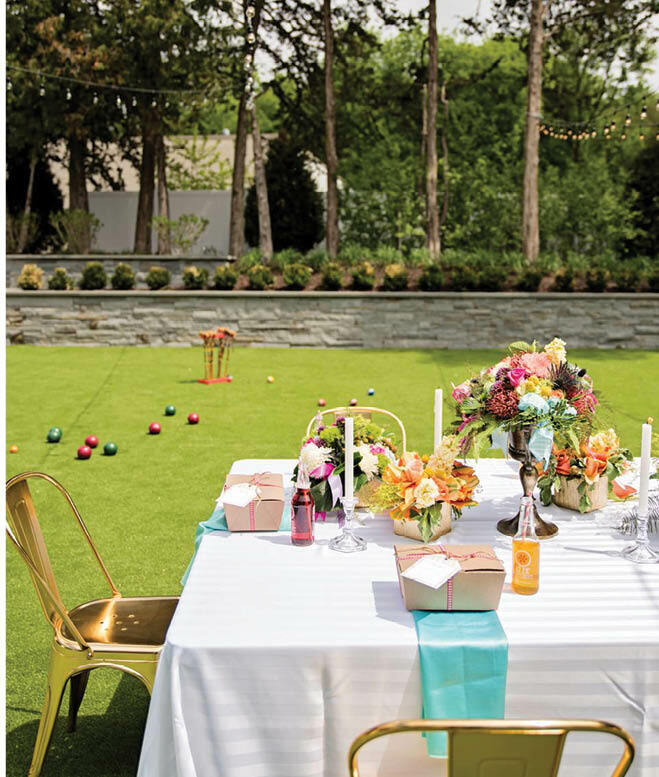 “Instead of the game-focused, at-home showers of the past, mothers and bridesmaids are now renting out stylish venues and hosting elaborate brunches, luncheons and dinner parties focused on more thoughtful and personal details,” she says. 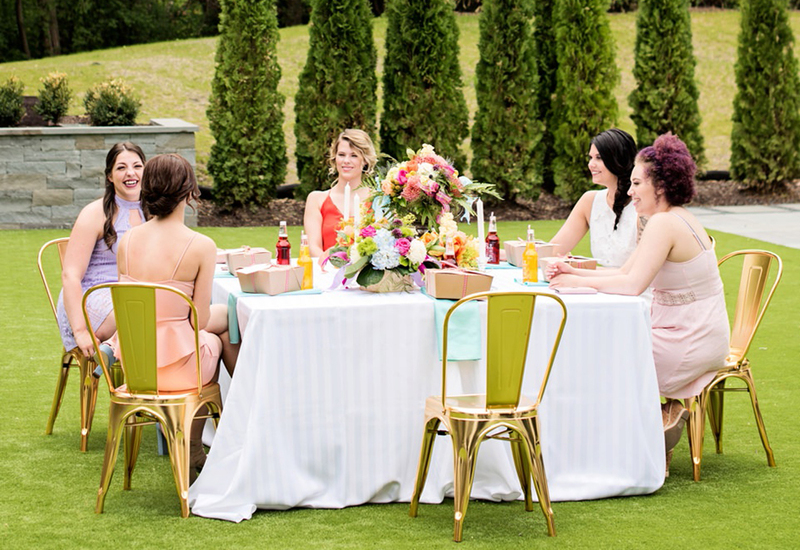 No matter your wedding-shower style, encourage your hostess to plan a party that best suits you, even if it means doing away with tradition. Think more social, less formal; more inclusive (perhaps invite your spouse for a couple’s shower), less ladies-only; more details, less sitting in a circle ooh-ing and ahh-ing over registry items. Let’s break down what you—and your hostess—need to know about the basics: gifts (do you have to open them in front of everyone? ), favors (necessary or no?) and most importantly, where to host the shindig. Listen up, hostesses: “Never assume you know what the bride wants,” Rosen warns. “Always consider her over what you think is best.” For instance, ask if she’d like her mother or future mother-in-law to attend, or if this should be a friends-only affair. It’s OK if she says no; perhaps they’re planning a separate family event. Saltzman suggests keeping the gifts in an out-of-sight location during the shower, then acknowledging your guests with favors or individual place-setting notes as a sign of gratitude. “Sending your guests away with a thoughtful and personalized favor is always a hit,” says Saltzman. No need to go grand, though. Keep favors small, personal and, for a dose of Minnesota pride, local. Think potted succulents or cacti from Northeast Minneapolis’ Madre Cacti (available by appointment only in winter months), mini champagne bottles, personalized cookies from Farina Baking Co. or the Cookie Creative, boxes of mini macarons or cookies from Cocoa & Fig or Thumbs Cookies, beeswax candles from the Foundry or botanical art prints from local artists Esther Clark or Wit & Delight. You could also scour the locally made goods at Golden Rule in Excelsior, or if you want someone else to do the shopping for you, pop over to Minny & Paul’s site, where they’ve curated beautifully boxed selections of Minnesota-made products. Now, for the big event. 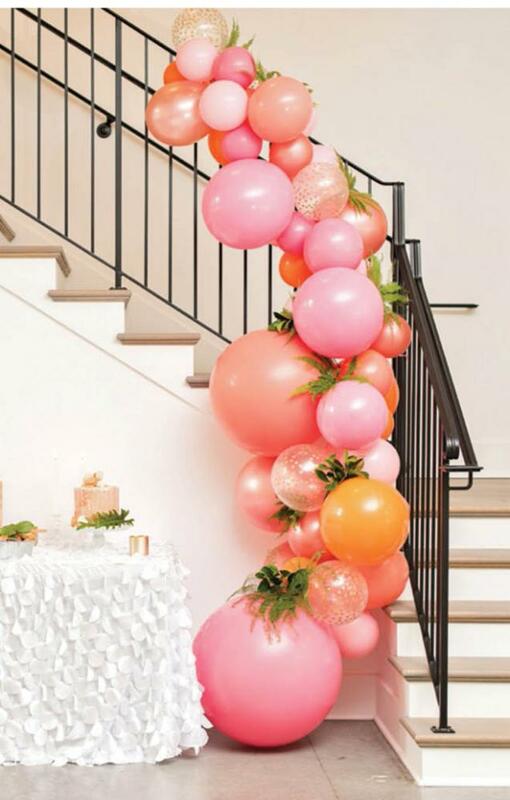 First you have to nail down the two trickiest parts of party planning: where and what. First decide if you’d like to keep this an at-home event or if you’d rather rent a space. For somewhere in between, scour home-rental sites for a big, beautiful lakeside cabin. Other spots like Rudy’s Event Center and Nicollet Island Inn rent their space, as do 514 Studios (now The Neu Neu) and Studio 125. You could also rent out your favorite restaurant. Saltzman loves bright, airy spots such as the Lynhall, the Copper Hen and Saint Genevieve—all perfect for mimosas and mingling. As for the what, “doing some sort of activity to break the ice with guests who may not know each other is always a good idea,” says Saltzman. For example, you could hire a florist to assemble floral crowns or petite arrangements, or bring in a calligrapher so everyone can help make DIY signs for the wedding, or perhaps a sommelier to teach you about wines from your honeymoon destination (with plenty of sampling so you know how they taste). You could also book a private session with LAB, choosing from any of its creative workshops. If you’d rather give back on your day to receive, Rosen recommends packing food at Feed My Starving Children, with locations throughout the metro area, then gathering your good feelings and heading out to dinner afterwards. No matter what you do, where you go, or whether you open gifts at the party or not, remember what really matters: being surrounded by those you love most, celebrating your special time. Now, go party. 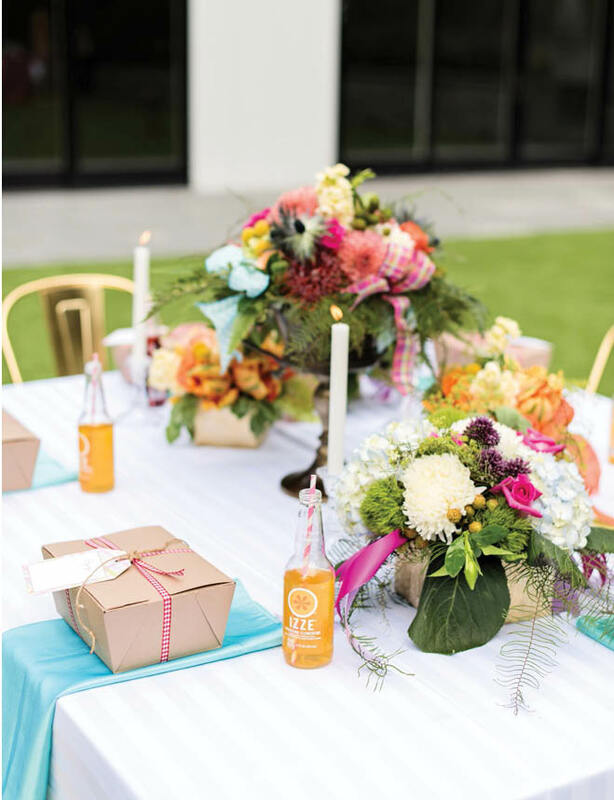 The who, what, when and where of a wedding shower. Who should host my wedding shower? Anyone—mothers, aunts, bridesmaids—can take the lead. When’s the best time to plan it? The months leading up to your wedding are a wild whirlwind of fun and fêtes. Consult with your host to coordinate a weekend one to three months in advance of your wedding that’ll work for most of your guests—but, most importantly, work for you. 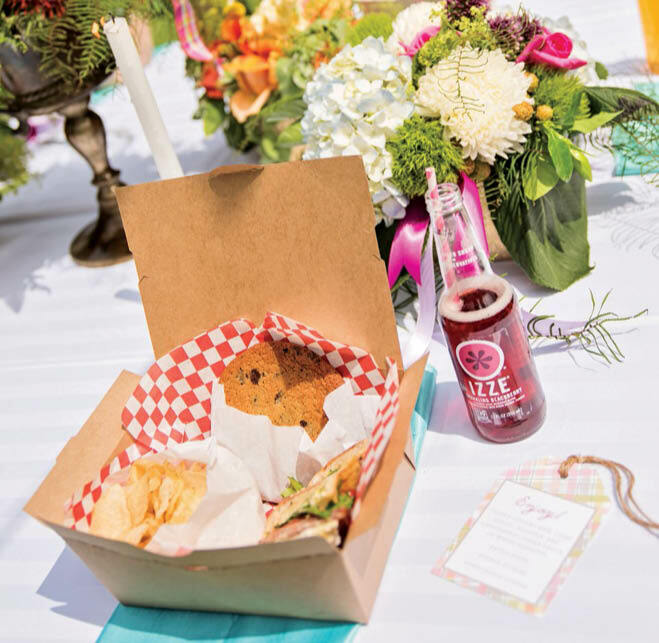 Consider consolidating in the same weekend the wedding activities that require the bridal party in attendance, such as a bridesmaid dress fitting or wedding favor assembly. Who gets an invite? Work with your host to compile a guest list you’re both comfortable with, in terms of familiarity and budget. Mothers, future mothers-in-law, sisters, and bridesmaids are traditionally invited. Who else? Close friends and family members, at your discretion, who are also on the master wedding guest list. Just be careful not to overdo it with the wedding party invites—you don’t want guests partied out (or breaking the bank) before your wedding day. 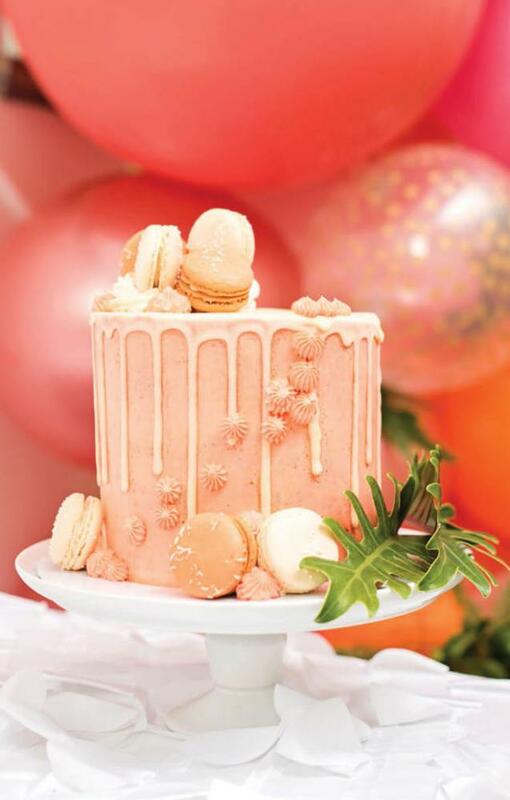 Wedding showers don’t have to be ladies-only events anymore, either. The more, the merrier; invite your partner or your fella friends if you’d like. How do you send invitations? Who doesn’t love receiving a formal invitation in the mail? That said, have your hostess gauge the formality of your shower; email invites may be perfectly appropriate. Encourage your hostess to send invitations six to eight weeks in advance of the bash, particularly if any guests are traveling. Include registry information on the invitation. Trust us—it’s not tacky, it’s thoughtful. How long do showers last? Typically, three to four hours—long enough for an activity, gift opening (if you’re choosing to do so) and a meal of some sort.